which was once the home of pirates, and St. Augustine, North America's oldest settlement, established by the Spanish in 1565. Stay for a few days and explore, as Jacksonville also has a variety of modern and independent hotels and B&Bs. below freezing -- so it doesn't attract nearly as many tourists from northern states looking to escape harsh weather. Also, Northeast Florida doesn't get many menacing hurricanes, so summers, with temperatures in the 80s (27-32C), are a popular time to visit. The shoulder seasons during spring and fall are really ideal for saving some money on hotels and avoiding the hottest temperatures. This was a pitstop during our trip to Port Canaveral. Overall, it was good. There are a lot of shopping and dining options! The hotel rates around here is pretty decent too. They have a Cheesecake Factory here! Jacksonville is named in honor of President Andrew Jackson, and was platted a year after Jackson became President. It is Florida's largest city by population and geography, with a population of just under a million people. 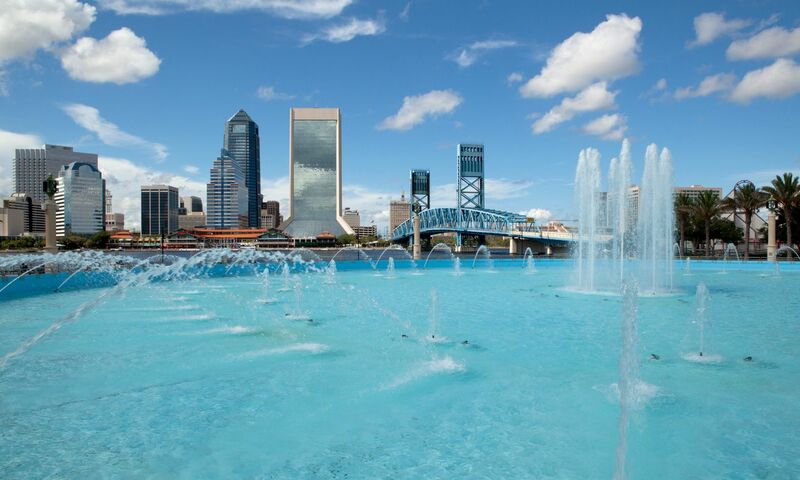 Jacksonville has the distinction of being one of the largest cities in the United States by land area. Beyond that, there's not much else to distinguish the city in terms of places to see and things to do. Jacksonville is a port city and on the board with Georgia. It is also the end or the start of Interstate 10. It also has great birding and Florida state parks for all types of recreation. Metro/City that still has a small town feel. Quick, easy access to historic sites and beaches. The city also has nightlife to suit most styles: Country - Rock - Blues/Jazz - Easy Listening - Live bands - Concerts. Went to Jacksonville for work. Definitely stop by the Jacksonville Landing in downtown. Great place for pictures and lots of restaurants. Also, if you are a beer drinker, make sure to stop by the Anheuser Busch Brewery and get your budweiser taste buds ready for some beer tasting! This city on the banks of the St. Johns River is your entrance to the State of Florida down US Interstate 95. Atlantic Beach is a great, hidden gem! If you are looking for a great party and nonstop action head down to Jackson Beach.